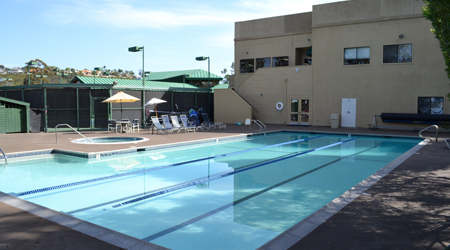 Private Swim Lessons are available at Laguna Niguel Racquet Club starting May 1st. Lessons run in 20 min increments, and are available from 10:00am- 6:00pm. Our swim instructors use an exciting, customized approach to cultivate a love and respect of the water in swimmers of all ages and levels. Private Lessons are tailored to meet the needs of each individual swimmer. 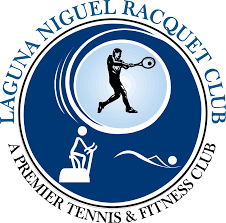 The Aquatic Center at Laguna Niguel Racquet Club is located in the beautiful Laguna Niguel in Orange County, CA. The Laguna Niguel Racquet Club pool is an outdoor, junior Olympic-size swimming pool, which is heated year-round at a comfortable 82 degrees. An outdoor Jacuzzi is conveniently located by the pool. Premier Aquatics is the swim lesson contractor and offers private lessons at competitive pricing, compared to surrounding facilities. The swim lessons offered at the aquatic center are designed to teach swimming in the safest and most enjoyable way possible. Participants will be paired with an instructor who is eager to teach and loves what they do! 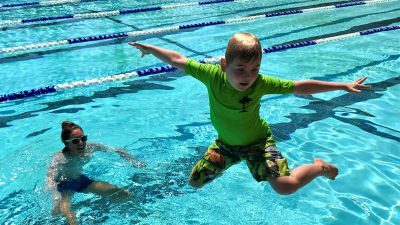 Swim lessons will begin in May and will continue through the duration of the summer. Throughout the entire learning process, swimmers will be having a great time! One of the many amazing benefits of swimming at the Laguna Niguel Racquet Club is their Pure Natural salt pool. The pool is fresh water, with the benefits of a saline pool. A saline swimming pool lacks the harmful chemicals that can cause damage to the skin, eyes, and hair. We use a system called Eco-MATIC as an alternative to the use of “pool chlorine” and other sanitizing chemicals for pools and spas. Pure natural salt is added, which coverts the water to beautifully healthy mild salt water. Eco-MATIC automatically produces all of the required sanitizers and eliminates the need to ever add “pool chlorine”, algaecides or “shock” chemicals, by using and recycling the dissolved salt. It is the best water you’ll ever experience! If being a swim instructor at the Laguna Niguel Racquet Club is something that interests you, please visit our website at www.swimoc.com/careers for more information on available jobs and how to apply.